Many people's favorite part of a turkey dinner is diving into the stuffing, but what makes the best turkey stuffing? Perfect turkey stuffing is moist, slightly toothsome and aromatic, with delicious flavors of herbs and seasonings. Stuffing done right is a thing of beauty and the highlight of any turkey dinner. Is there a recipe considered the best turkey stuffing? Because different people enjoy different flavors, there is no "best," however, there are components in most stuffings that make it a perennial favorite. The main ingredient in stuffing is bread. While you can buy pre-made stuffing mixes with dried cubes of bread that resemble croutons, a really good stuffing is made from fresh homemade or bakery breads (with crusts removed) that are cut into large cubes. Spread one-inch square cubes of bread into a single layer on a baking sheet and set out in the open air overnight to dry slightly to give the bread proper texture. A truly flavorful stuffing will have a combination of breads. For example, combine cubes of chewy french bread or a baguette with cubes of a dark bread such as squaw bread. Other bread choices include corn bread, sourdough, rye bread, pumpernickel and whole wheat. 12 cups of bread will make enough stuffing for a 12 pound bird. Put the bread cubes in a large bowl to mix with the other ingredients when you are ready to make the stuffing. Aromatics are the vegetables finely diced, sautéed and mixed into the bread. A standard mirepoix made of one part carrot, one part celery and two parts onion makes the best stuffing. Use 1/2 cup of onion and 1/4 cup each of carrot and celery for every six cups of bread. Dice the vegetables and sauté in about three tablespoons of unsalted butter. Cooked mirepoix has better flavor in stuffing than raw; for the best flavor, allow the vegetables to caramelize before stirring them. While garlic is not a traditional flavor in stuffing, some people enjoy adding it; toss a garlic mince into the mirepoix in the last few moments of cooking just until the garlic becomes aromatic. Overcooking garlic results in bitter flavors, so watch this step carefully.Add the mirepoix to the bread cubes in the bowl. Get all of the flavorful browned bits of caramelized vegetables off of the bottom of the sauté pan to maximize your flavors even more. Place the sauté pan back on the heat after adding the vegetables to the bread, and deglaze the pan with a little bit of chicken broth. Scrape the bits of caramelized vegetables off of the bottom of the pan with the edge of a wooden spoon. Once you have all of the flavor from the bottom of the pan, add the chicken stock to the bread crumbs. All of the best stuffings are made with fresh herbs, which infuse it with flavor and aromas you just can't get from dried herbs. Typical stuffing herbs include parsley, sage, rosemary and thyme. Use one to three tablespoons each of fresh herbs or one to two teaspoons each of dried herbs per six cups of bread. Season the stuffing to taste with salt and pepper. Use about 3/4 teaspoons of sea salt and a few turns of the pepper mill per six cups of bread. The best liquid for stuffing is either chicken or turkey stock. Make homemade for best flavor; if you must use canned stock, use low sodium stock so you can control the amount of salt in your stuffing. Use about 1/2 cup of liquid per six cups of bread cubes. Use a light hand when using any of these ingredients and mix them in to the bread just prior to cooking. 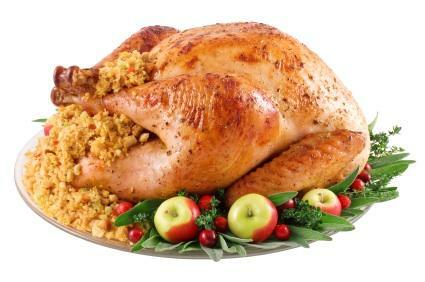 For many, the most flavorful way to cook stuffing is inside the bird, however, there is a risk of food poisoning when stuffing is cooked improperly inside of the turkey. Use a meat thermometer to make sure that the stuffing is cooked to at least 165 degrees to minimize the risk of food borne illness. You can also cook the stuffing in a foil-covered baking dish at 325 degrees for one hour. The best stuffing for turkey is a matter of personal taste. With knowledge of a few simple ingredients and techniques like those outlined above, you will be well on your way to creating an unforgettable turkey dinner.